Jaipur : Thw world's most affordable feature phone JioPhone now includes the Facebook app in it's features now, which will starting from this Valentines Day . 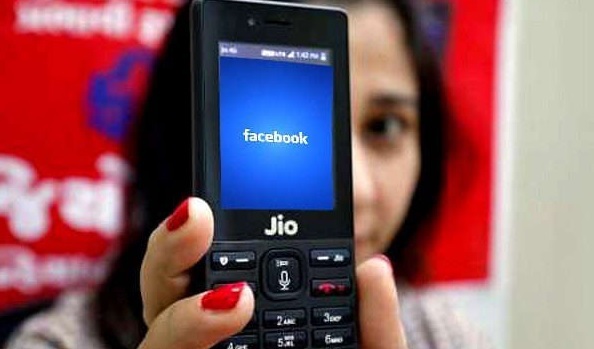 This new version of the Facebook app is built specially for Jio KaiOS, a web based operating system designed for JioPhone, so that its users get the best experience of Facebook. This will open up Facebook for potential 50 Crore feature phone users in India. The new Facebook app for JioPhone offers a comprehensive Facebook experience, allowing people to connect with the people who matter most. It supports push notifications, video, and links to external content. The app is also optimized to successfully accommodate the cursor function on JioPhone and delivers a best-in- class performance for Facebook’s most popular features, such as News Feed and Photos. “JioPhone is the world’s most affordable smartphone built with transformational technology especially for Indians to migrate from a feature phone to a smartphone. As promised, JioPhone will be home to the world’s leading applications, starting with Facebook. Jio, the world’s largest mobile data network, is built to empower every Indian with the power of data and JioPhone is an integral part of this Jio movement,” said Akash Ambani, Director, Jio.